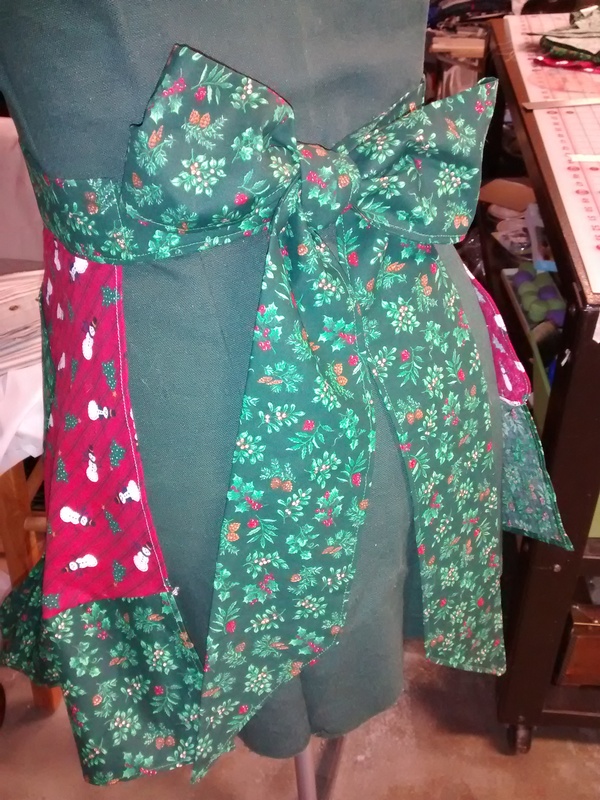 Red stripped fabric, little snowmen, Christmas trees, holy and other festive greenery. 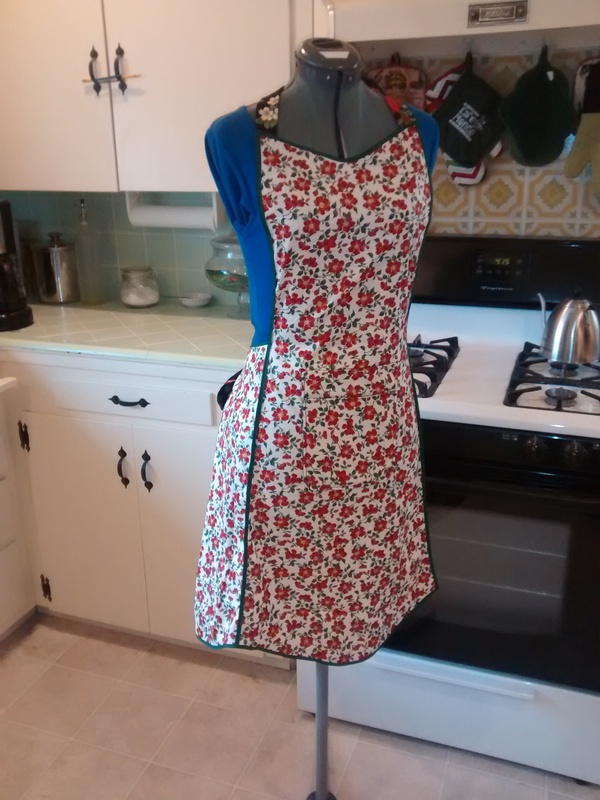 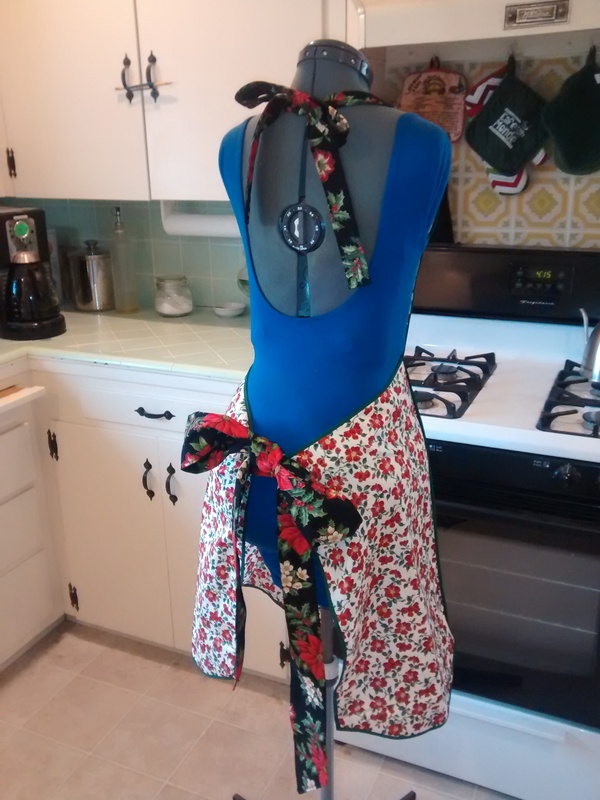 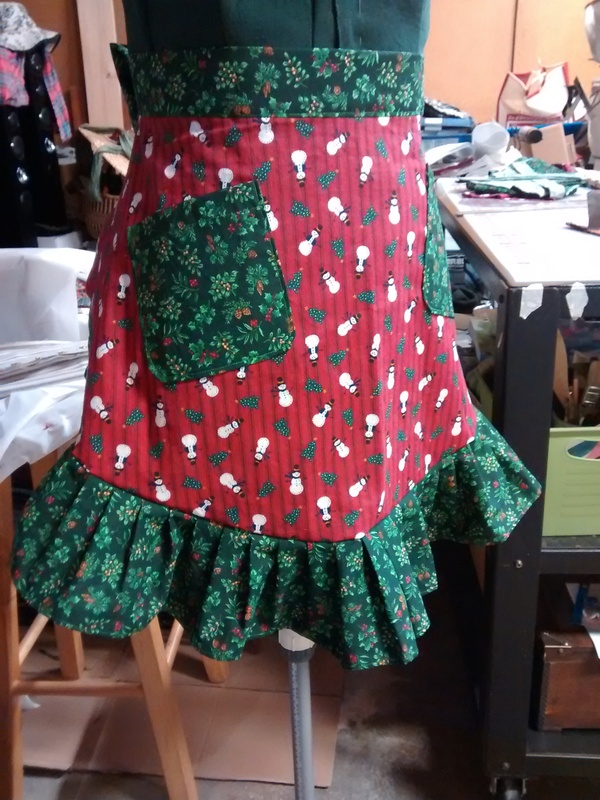 This apron has two pockets, a played flounce and a generous bow. 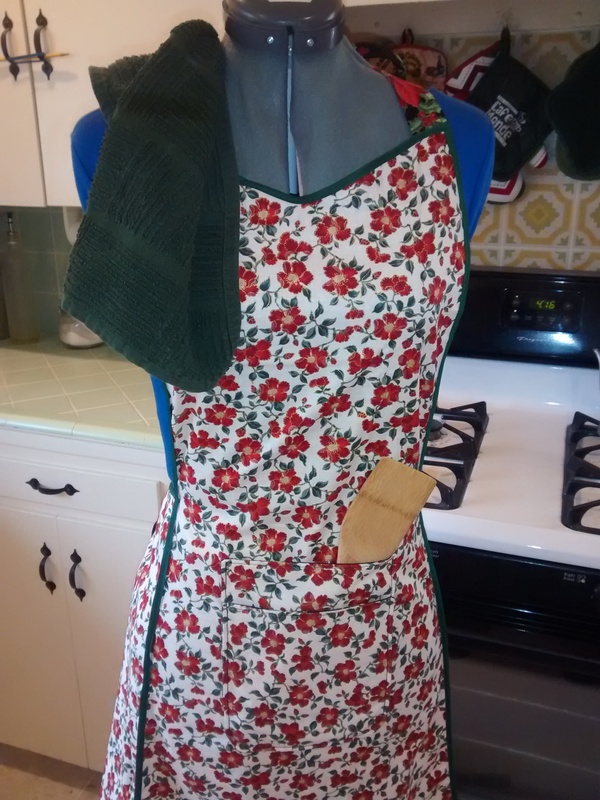 This apron is based on one my mother in law has that belonged to her mother. 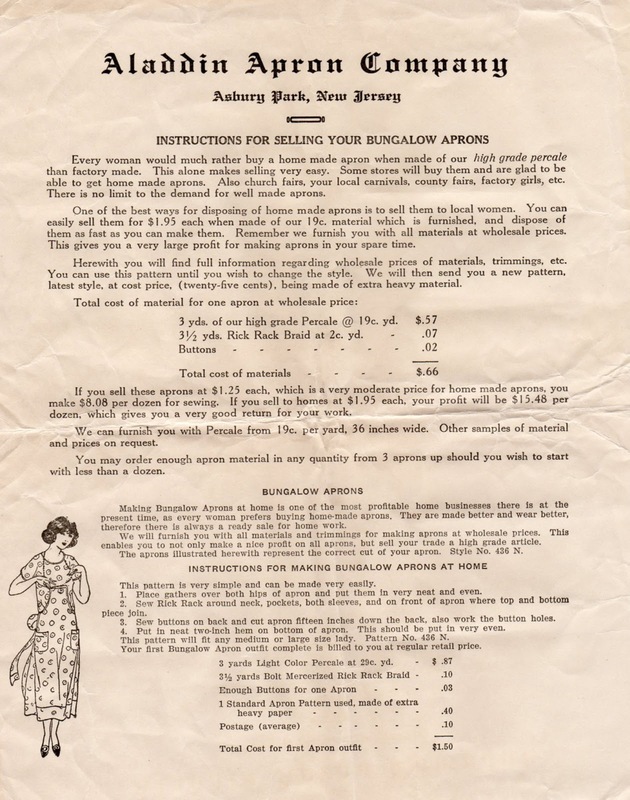 [Edit: I believe it was from the 1940s]. 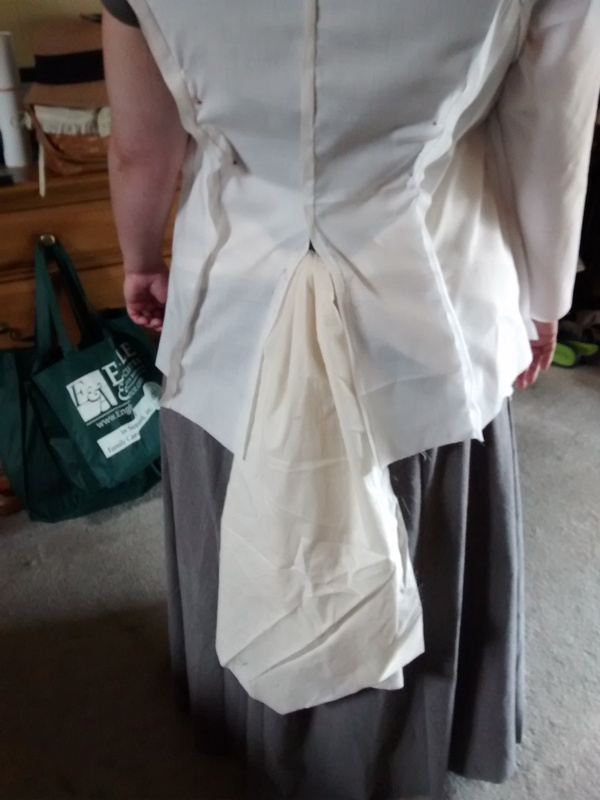 It’s not put together the way we would do it these days. 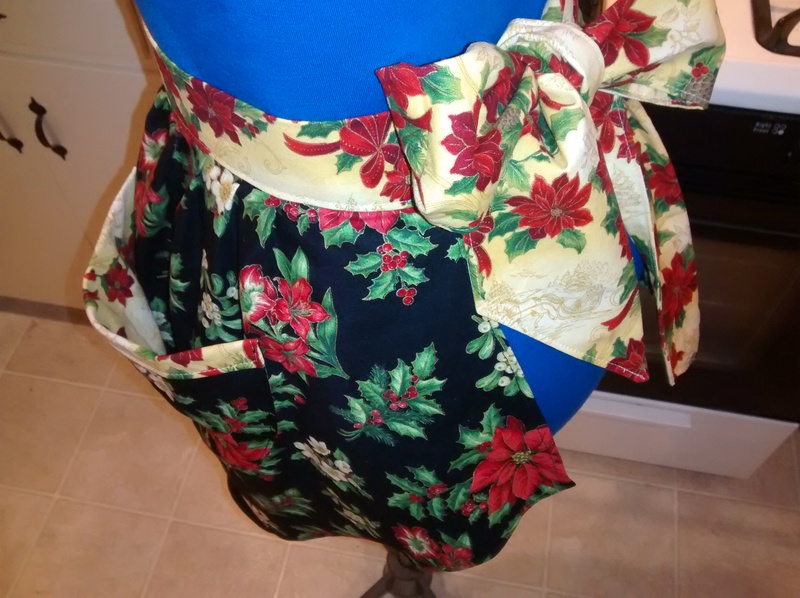 The side seams are stitched with the wrong sides together and the seams bound on the outside with 1/4″ bias tape for decoration. 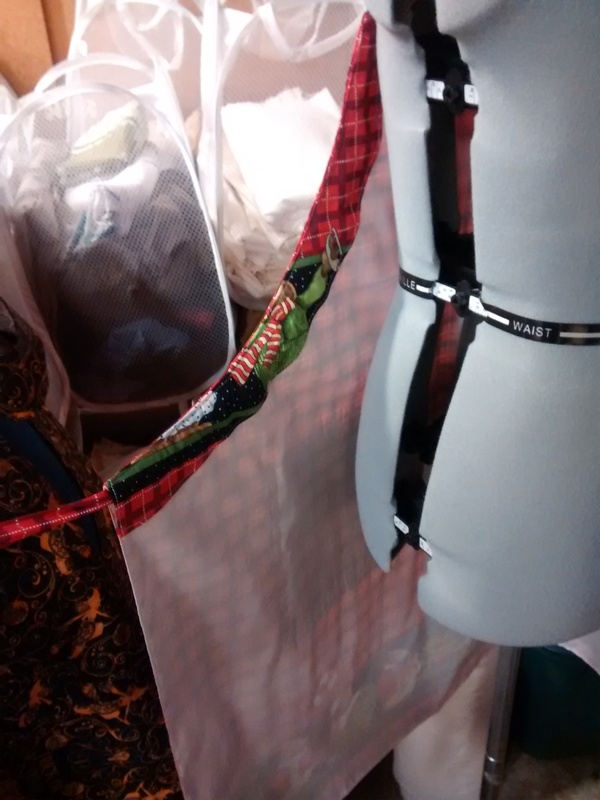 The rest of the raw edges are given the same bias binding treatment. 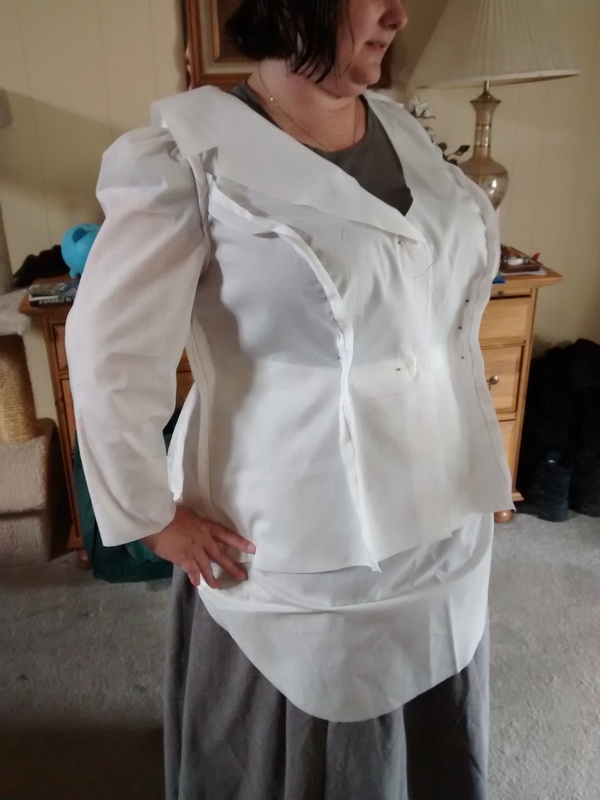 I altered an existing pattern and didn’t like the way it had the pockets over the seams. 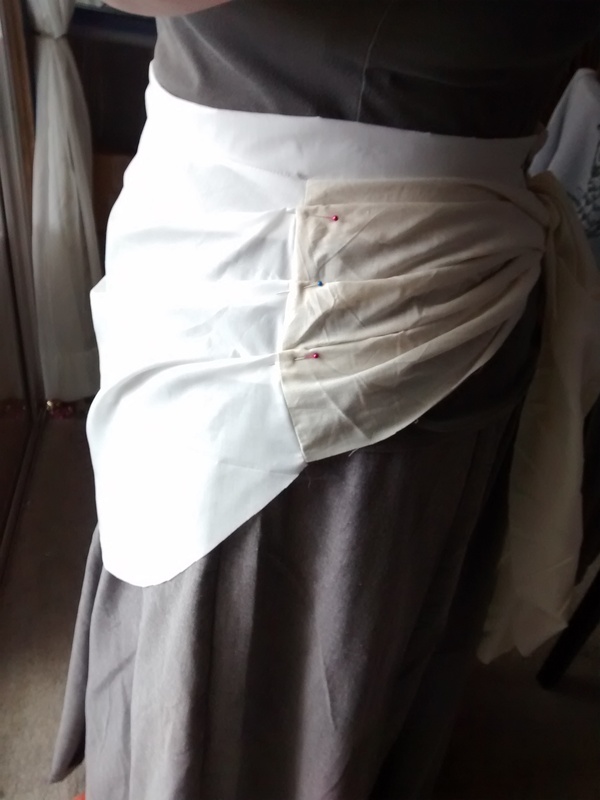 If I avoided the seams and moved the pockets to the outside they wouldn’t be very useful so I stacked them in the center instead. 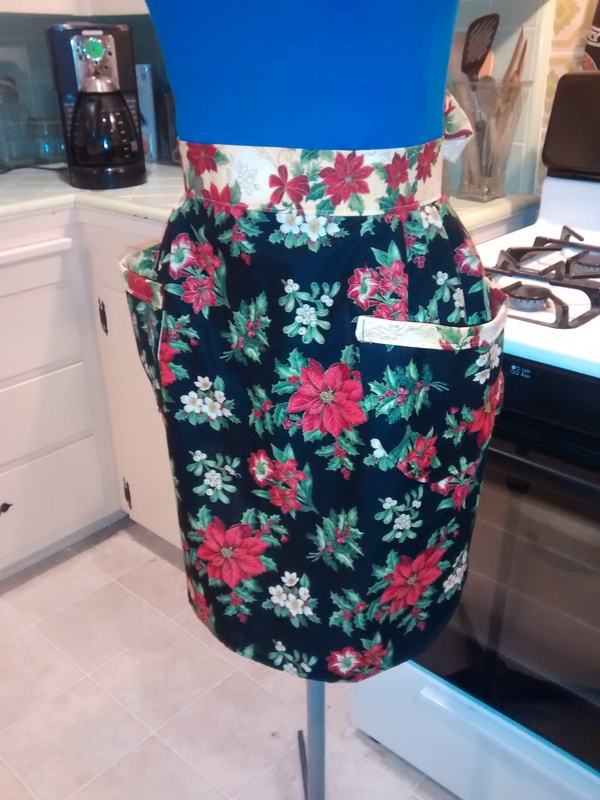 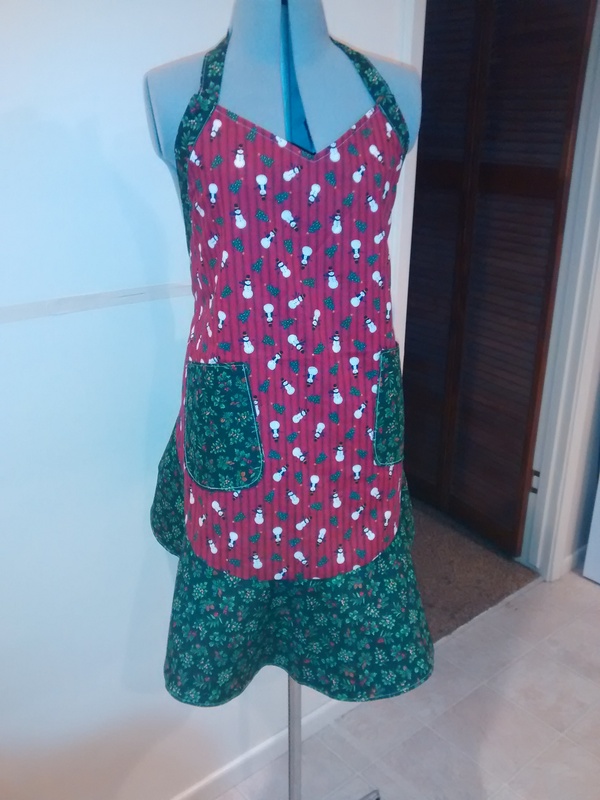 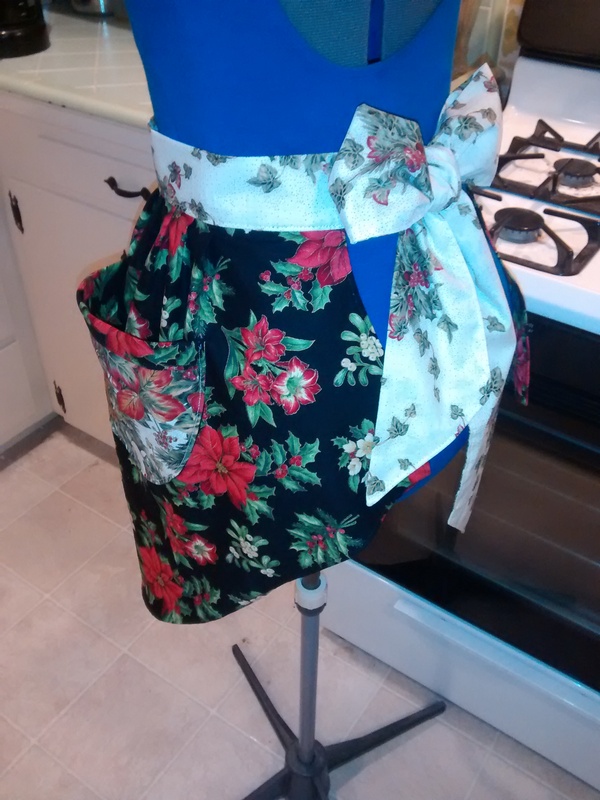 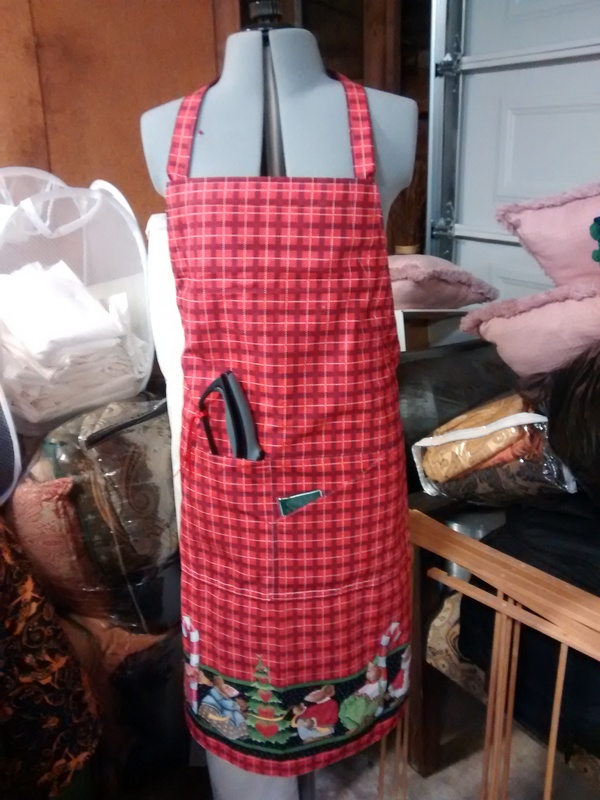 Christmas apron with integral tie. 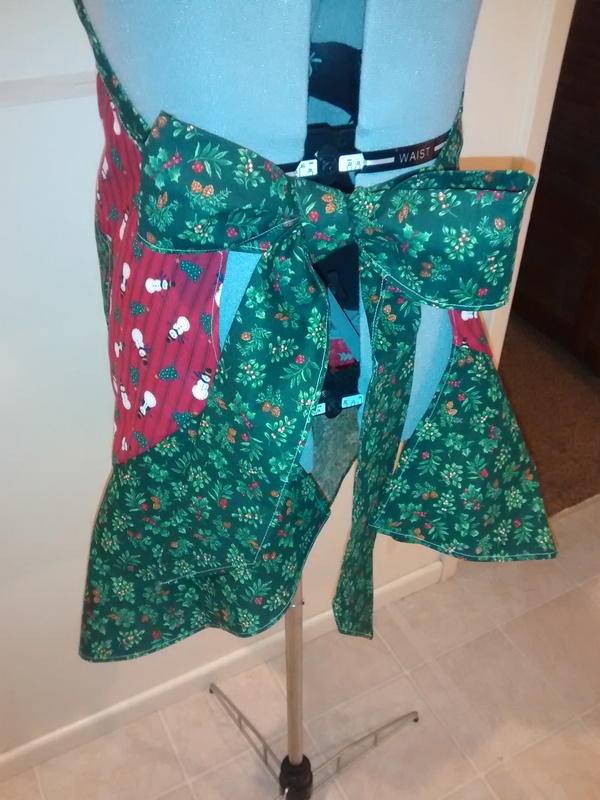 The tie is one piece that goes behind your neck, feeds through channels on the inside then secure around your waist. 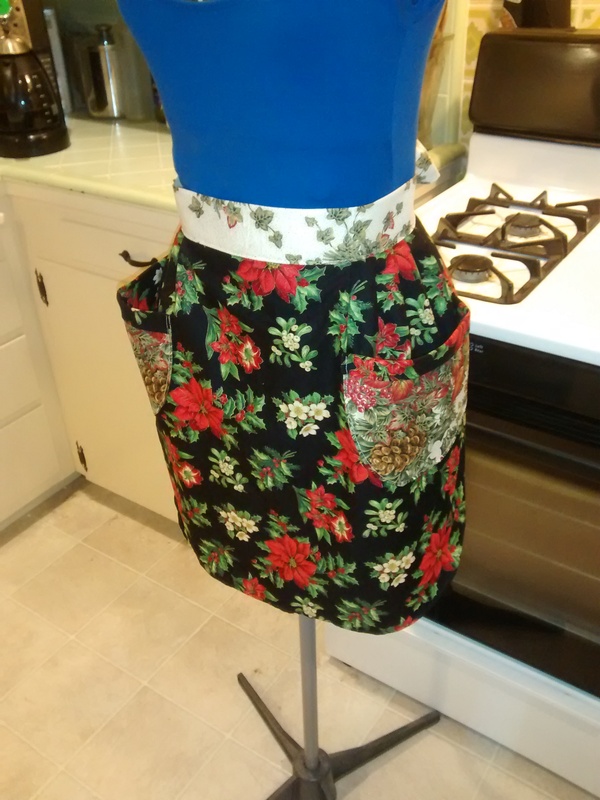 Four pockets in front.